This program encourages individuals and churches to prepare for a disaster before it strikes. 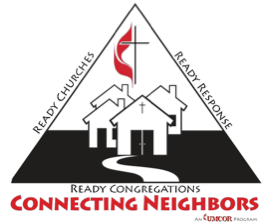 The program has the goal of inspiring congregations and communities to be better able to minimize disaster-caused harm to people and property and to respond to our neighbors in helpful, cooperative and caring ways on behalf of the church and in the spirit of Jesus Christ.Click here to learn more. The goal of this plan is to provide a framework to enable the Mountain Sky Conference to prepare, respond and recover from disasters that may occur throughout the conference. This plan starts locally and involves multiple levels of aid. Click here to learn more.